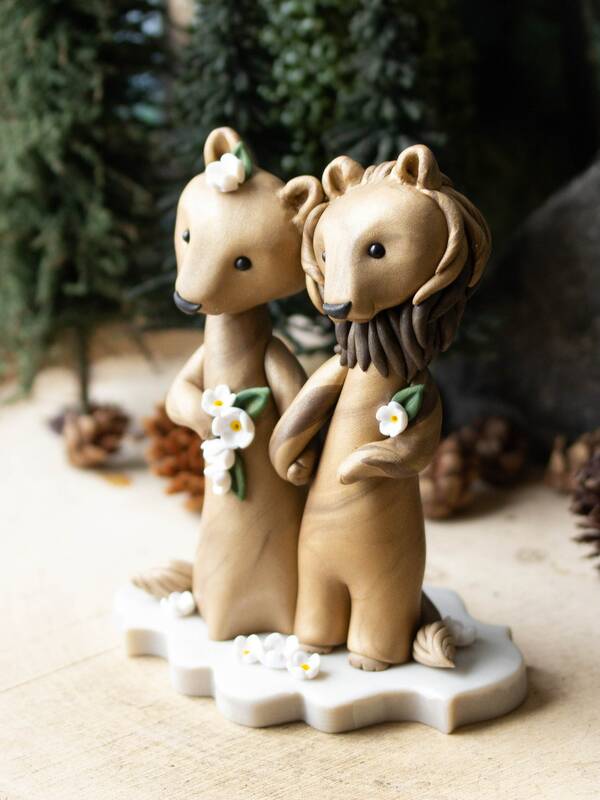 This keepsake wedding cake topper features a Lion and Lioness adorned with white flowers. 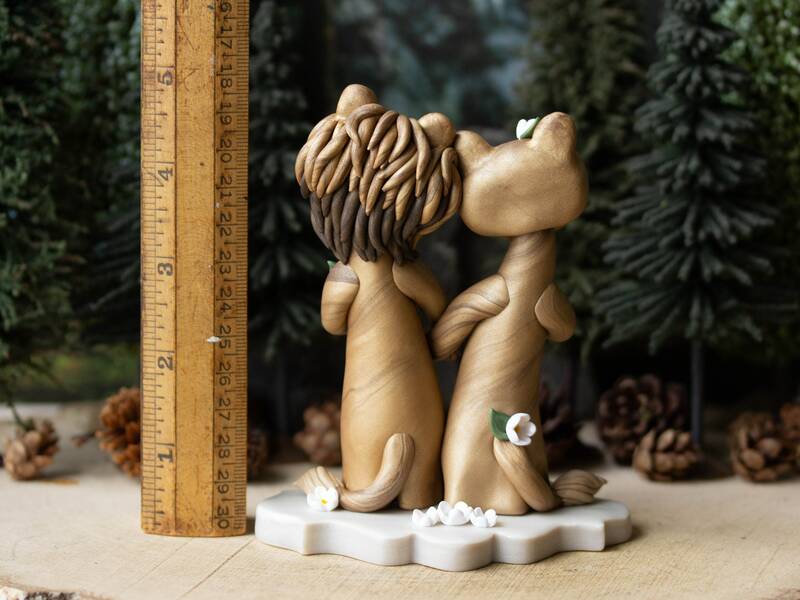 I sculpted them by hand with a custom-blended polymer compound that has a subtle sparkle and marbling. 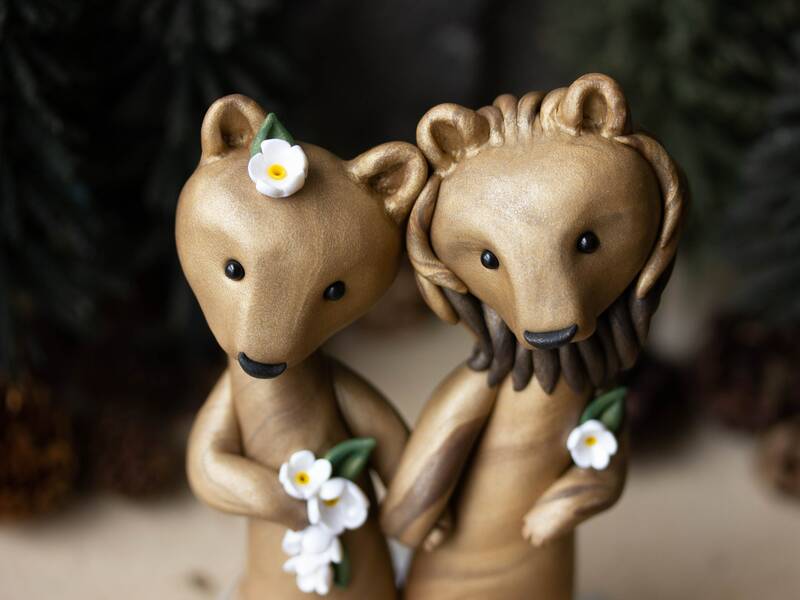 Their eyes are Swarovski crystal pearls and they stand on a base at 5-inches tall. You will receive the exact same pair as in the photos, and they are ready-to-ship, within three business days of payment. They'll arrive in a handsome gift box with a descriptive card, ready for giving or receiving. All of my Poupettes are sculpted by hand, one at a time, and stamped on the underside with my maker's mark. As soon as payment is received, I'll confirm the shipping date. You'll receive shipping confirmation once they are on the way, and a tracking number, if available for your country. 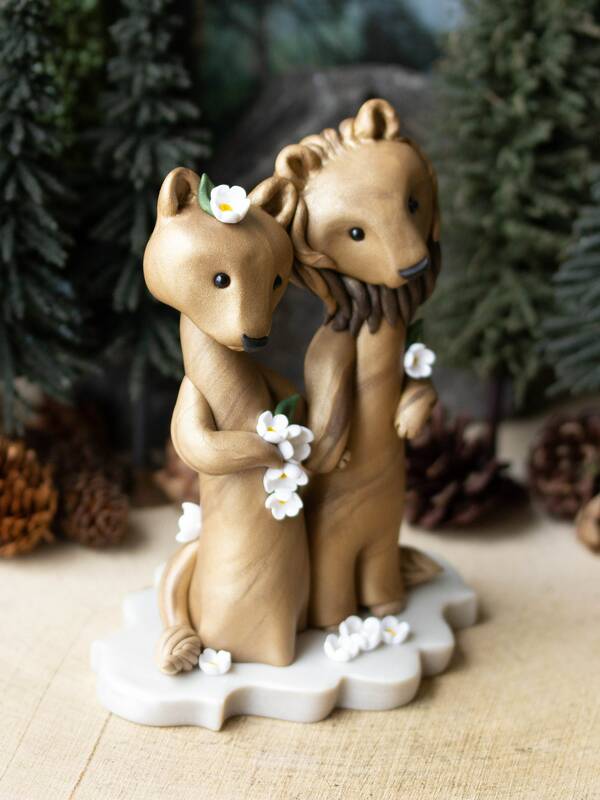 My wedding cake toppers are made of non-toxic polymer and are not painted or varnished because the pigment is permanently suspended in the polymer. 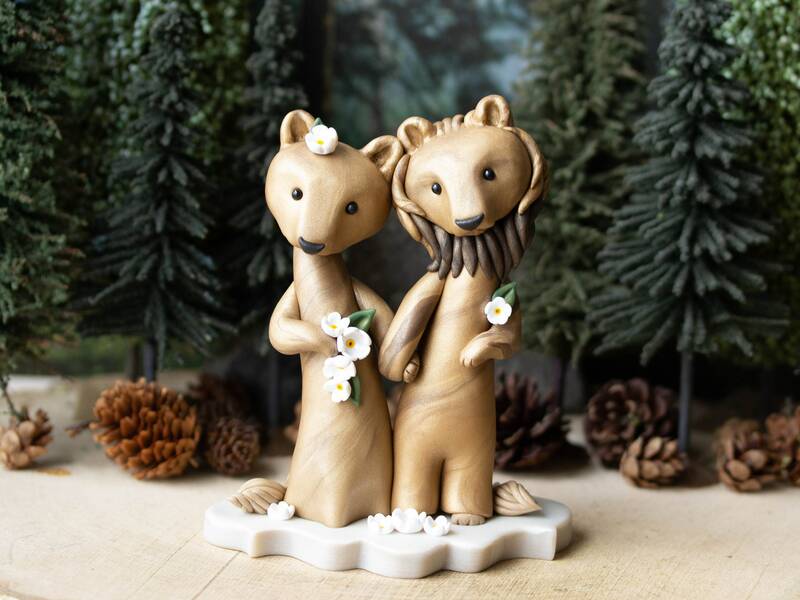 Therefore, they do not need a base, and can stand directly on the cake. They won't be damaged by, or damage edibles and can be carefully hand-washed with a gentle soap as needed. 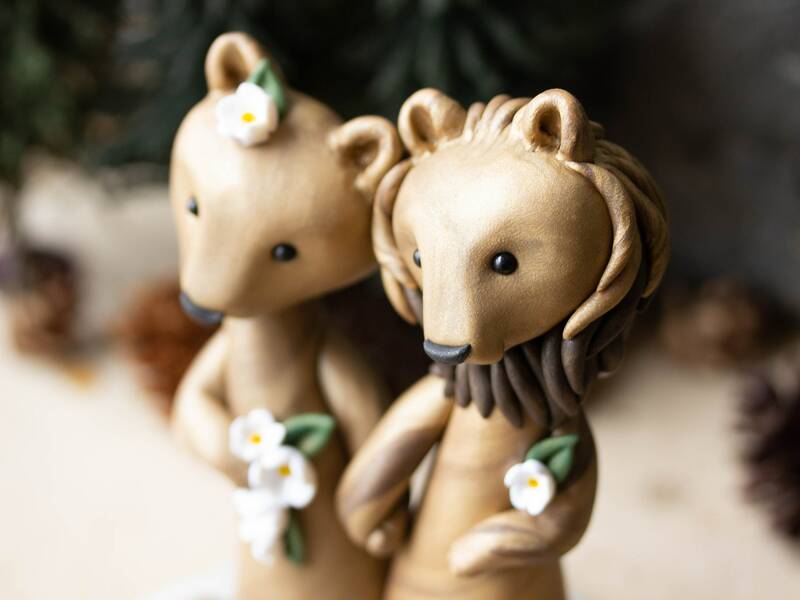 If you would like a similar pair, but with two Lions or two Lioness', or with custom flower colors, I'd be happy to make it for you. Just let me know when you need it and I can set up a listing for you.